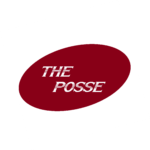 The Posse is a Los Angeles based nine-piece funk and soul band founded by 23-year-old Gordon “Lord Gord” Tillett Jr. He is the writer, composer, arranger, producer and lead vocalist for the band’s material. The band’s sound and image began to form in late 2014 when Lord Gord started working on his first album, This Isn’t TV. The influences of the band include funk and soul greats including: James Brown, Parliament-Funkadelic, Prince, The Time and Isaac Hayes etc. The musical direction of the band reflects those influences and countless others from genres such as rock and roll and jazz. The natural and funky grooves hark back to past eras when musical excellence was expected from black musicians. The studio recordings are all live with no samples or borrowed material. Sacrilegious words in the band include: sampling, looping, quantizing etc. Lord Gord & The Posse are committed to bringing real musicianship devoid of gimmicks and shortcuts. The band is devoted to restoring the proud tradition of black musicianship in the studio and in the live circuit as well. Lyrical content of the band includes predicaments of love, social commentary about pregnancy and the use of the “n” word, personal style, humor, and respect for one’s self. The music does not rely on any curse words or inappropriate language or content, so it is for all ages. It is important to not only provide real music by real musicians but also meaningful lyrics that can evoke thought and self-reflection. Goals for the band include reviving black musicianship as a whole and creating a product that the public can enjoy. We hope to inspire the next generation to learn and master instruments. Black musicianship started to decline steeply as hip-hop became popular and the genre has dominated Black music for almost 30 years. One of the many negative consequences of this situation include that people with little to no musical training or skills have controlled the industry and have influenced generations of people to take shortcuts and not devote the time to learning and mastering an instrument. With our band, we hope to reverse the course and show everyone how it is done; with superb musicianship and entertaining showmanship. We hope to inspire positive change in the music industry by inspiring artists to pick up instruments and give musicians the power and credit that they deserve.